Turquoise Durga | Artwork – Store – Tammi B. Ph.D.
Hand painted mandala 20" x 20" Acrylic, mixed medium, gold leafing and Swarovski crystals. 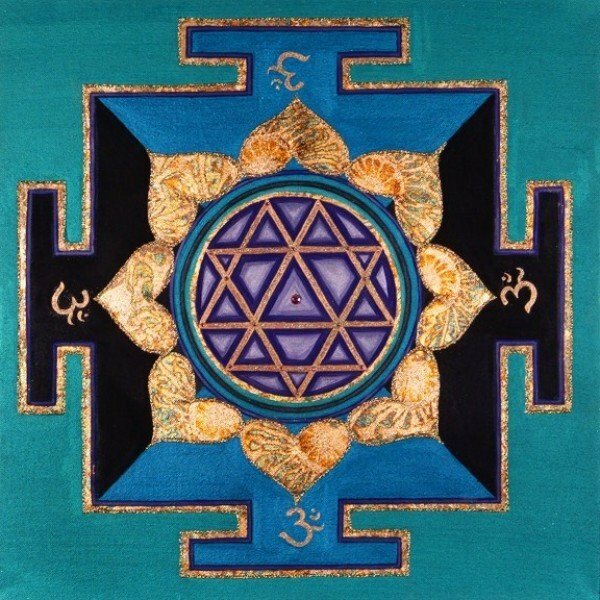 The Durga Yantra is a powerful yantra for attaining desires, to remove difficulties and to conquer enemies are the special effects of this yantra. Durga Yantra bestows wealth and prosperity and protect the person from danger. I created this one specifically to more fully claim my voice and speak my truth.